Redis Labs is a Silver Sponsor at DockerCon 2017. Meet Redis experts at booth S11. 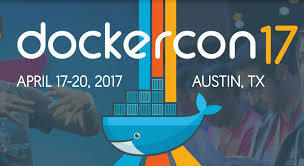 DockerCon is the community and container industry conference for makers and operators of next generation distributed apps built with containers. The three-day conference provides talks by practitioners, hands-on labs, an expo hall of Docker ecosystem innovators and great opportunities to share your experiences with other virtual container enthusiasts.